Diggers Valley: 20 June 2009. The week beginning 20th of June. Today I, three other Kaitaia Vets board members and the wives of two of those men, flew to Invercargill. We left at around 1pm and were at the conference venue where we were to stay, by around 7.30pm. From one end of the country to the other! You may be sure I noticed the significant drops in temperature with each stop: at Auckland, Christchurch and then finally in Invercargill. I was picked up this morning by Jan and Ron, who had offered to take me on a tour of the area. Jan takes part in the same internet discussion board I frequently read and post to,and we had between us attempted to organise a lifestyle-block owners gathering, with the possibility of some educational content as well. However there was little interest expressed by anyone down here, other than by one new member, whom Jan arranged for us to call in and meet during the day. 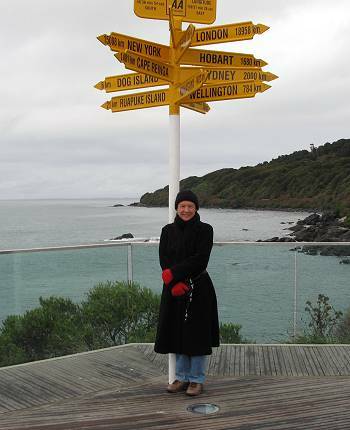 From Invercargill we headed south to Bluff, where I naturally had to stand beneath the fraternal twin of the sign-post at Cape Reinga. I doubt I'd ever wear this many clothes there though! 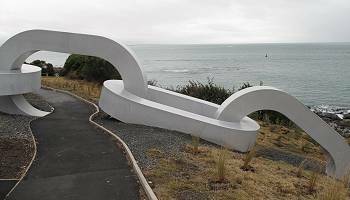 I am told the other end of this chain comes out of the sea again on Rakiura, Stewart Island. Rakiura is the mythological anchor stone of Maui's waka, (Te Wai Pounamu, the South Island) from which he fished Te Ika a Maui (the fish of Maui, the North Island) from the sea. We drove up the very steep road to the top of Bluff Hill, from which the view was stunning. I'm told that on a fine day it's even better, but on a cold winter day, the dim mistiness of some of the view was entirely appropriate. The colours of the vegetation on the southern side of the hill as it dropped away down to the coast were beautiful. 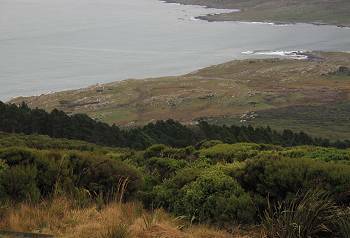 While I haven't yet been there, I have at least seen Stewart Island. 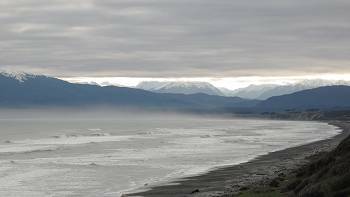 Along the coast to the west, our next stop was at Oreti Beach, where the traditional mid-winter swim had taken place during the morning, it being the shortest day of the year. Of course I was terribly sorry to have missed the occasion and the opportunity to join the crowd who lunged into the freezing waters. Parts of the film about Bert Munro, The World's Fastest Indian, were made on this beach. 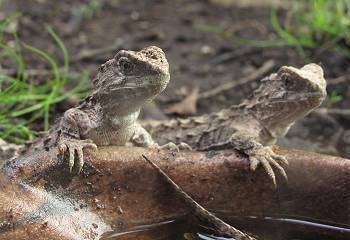 At the Southland Museum there is a breeding programme for Tuatara. This is Henry, from Stephens Island in the Marlborough Sounds at the northern end of the South Island. These little guys were fascinatingly interesting and very lively under their warming lights. Every time I knelt down to take a picture, the most curious of them came over to the glass for a closer look. Their colours were everything from subtle pinks to the lightest grey-green. 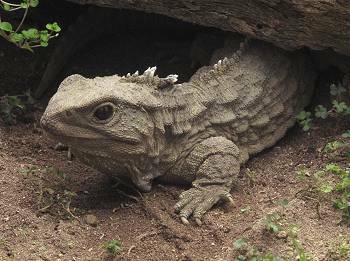 Finding Tuatara information on the internet is easy enough, but here are two pages I discovered: The Kiwi Conservation Club (a great resource for children) and Pukaha Mount Bruce. 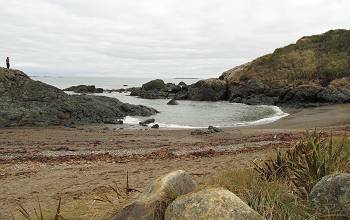 A beach near Riverton was lovely to walk on in shoes - such a vast range of colourful stones. We joined in a serious task for one family there, who had lost the keys to their car. We had to leave them, still searching. 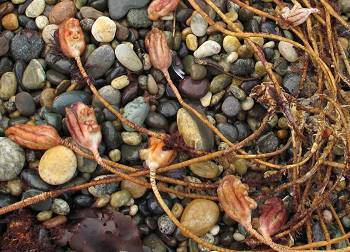 There were some really interesting seaweeds washed up on the beach - I presume this one is probably called sea tulip. 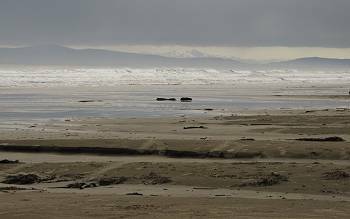 I could happily have spent hours wandering that beach, except for the cold. Heading along the coast we stopped at McCracken's Rest which looks out over Te Waewae Bay and looked down on a long beach of huge driftwood and out to the west, the mountains. The wind was coming from the same direction as those snowy mountains, and it was cold! My overall impressions of the day were of animals living what looked like insupportable lives of muddy, cold misery. Jan told me that the area has now mainly been converted to dairying and that most of those farms carry as many stock as they can over the milking months, then ship the cattle off to winter pastures where they are fed their theoretical requirements behind hot-wires, creeping across barely-green hills and leaving muddied dark strips in their wake. There is little shelter, although apparently there were formerly lots of Macrocarpa shelter belts, most of which have now been removed, partly because Macrocarpa and pregnant cows are not a safe mix (ingestion of Macrocarpa causes abortion in cattle), but also because of the nature of this type of farming - huge areas of crop sowing for winter feed are easier to establish without lots of fencing and trees in the way. Feeding the crops to the animals is also easier if you don't have to work your electric fencing around trees. In few of the paddocks where I saw cattle being fed in this way, was there anywhere dry to lie down. 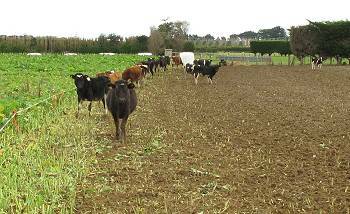 Once the green had been eaten from the crop, the cattle were tramping around in increasingly deep mud. I was surprised to see some mobs of sheep being fed in the same way, although I didn't manage to get any pictures of them. Presumably the system works for the farmers, because if the animals' basic needs weren't being met, their fertility and production would drop and things would have to change through economic necessity. But I don't think this really fits the usual portrait of our country very well - it's not clean and green for those animals and it doesn't look like good animal welfare. I couldn't help but wonder about the energy benefits of providing shelter for cattle in the winter - how much less would they need to eat to maintain their body warmth if they weren't constantly exposed to the weather? The big hedges which are still evident on some farms, were there for a reason! My far more pleasant and positive impression from the day was of the extreme generosity of my hosts, Jan and Ron, who gave me their whole day, transport and commentary for miles and miles of interest and great entertainment. They are a charming couple and I am sincerely grateful to them for all they did. On Monday morning the conference began. Some of it was very interesting, but for the first time ever, I walked out on a speaker in disgust. He was a man involved in veterinarians' education and ought to have known better than to have included in his presentation inappropriately sexual/sexist images which really had very little to do with the other material he was there to present. I was so angry! All Vet Club board directors are making a voluntary contribution for the good of their communities; to be insulted and offended in the course of making that contribution is unacceptable. In the afternoon we were taken on two large buses on a tour to see the local vet clinics and a bit of the surrounding area. 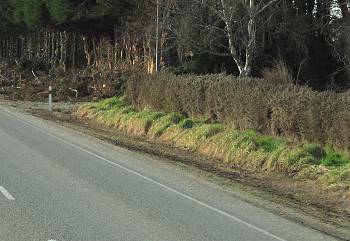 I was astonished to see gorse in a situation for which it was originally imported to this country: as a hedge! Early this morning we set out for Stadium Southland where we were fed a very nice breakfast and listened to a number of local speakers. After breakfast we were shown around the huge stadium complex, including the Velodrome. 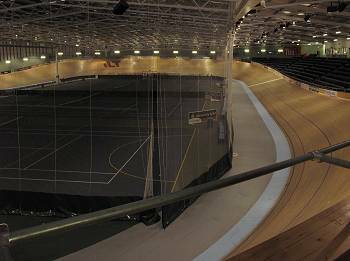 It was a huge facility and is apparently very well used by the community. And some parts of it were freezing cold: like standing in a chiller! In the afternoon, after the conference was finished and several of us were waiting until it was time to go to the airport, I went for a walk with a couple of women who were also waiting. The cemetery is across the road from our hotel, so we went for a look. This plot interested me - I wonder who planted the rose which now dominates it? 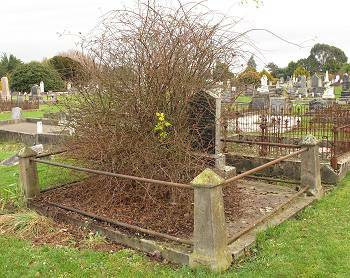 William Dunn who died 18th July 1875.
Who died 13th March 1903.
who died 24th(?) March 1938. 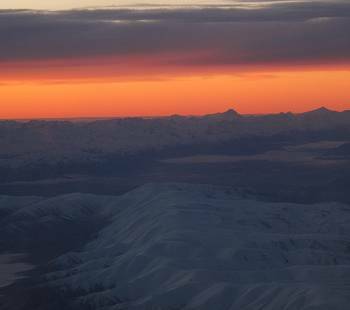 We flew out of Invercargill at 4.30pm, so there was still some light by which to see the mountains as we travelled to Christchurch. This looks a cold part of the world at this time of the year! I took Rachel (my sister) out for dinner for her birthday at tabou and enjoyed a delicious Angus steak. I even spent an hour in the waiting room of the Starship Children's Hospital (Jasper was quite ill and his breathing was worryingly laboured) and still didn't manage to contract Swine 'flu, despite the presence of some rather ill-looking children in masks waiting there with us. 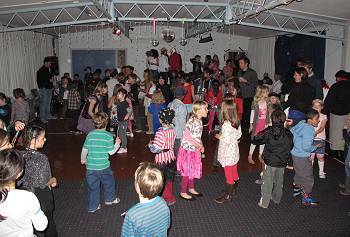 On Friday evening there was a disco for the children at Richmond Road Primary School. I wandered over for a look and as I walked down the stairs to the hall, one of Michael Jackson's hits began - entirely appropriate on the day of his death, but rather amusing that these seven-year old children are still dancing to the hits I grew up with. Meanwhile a huge party of people were arriving at Jude's place to celebrate Rachel's birthday. At midnight, as if they were all about to turn back into mice and pumpkins, they all dashed away - to some nightclub, and I hear some of them didn't find their beds until nearly dawn!